No creature is so small that he isn't worth rescuing - just ask Rodney, and the brave folks who saved him. 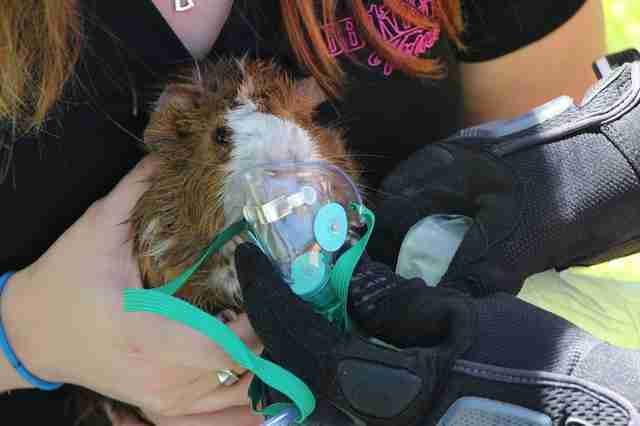 The pet guinea pig nearly lost his life late last week after a fire broke out in his Florida home. 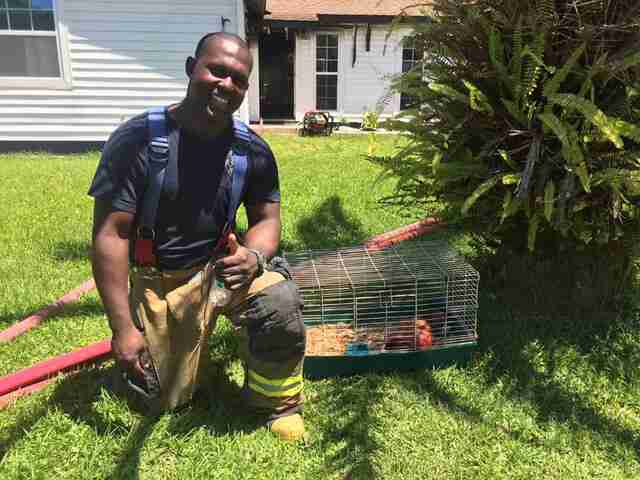 No humans were seriously injured in the blaze, but when first responders from the Polk County Fire Rescue arrived, they knew they had to help little Rodney too. That's when fireman John Williams leapt into action, entering the smoke-filled home to bring him out alive. Once carried to safety, the guinea pig wasn't out of the woods just yet. He'd inhaled so much smoke that he needed emergency oxygen. But the firefighters weren't equipped with masks designed for creatures as small as Rodney. So, they had to improvise. 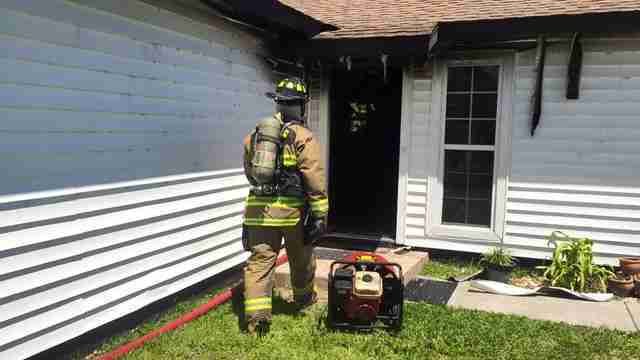 "The mask we used for this situation was one for babies/children," a spokesperson from Polk County Fire Rescue told The Dodo. "But our trucks do have a special mask for dogs." Fortunately, their creativity paid off. "He is doing good! I'm so incredibly thankful for Polk County Fire Rescue for saving Rodney. 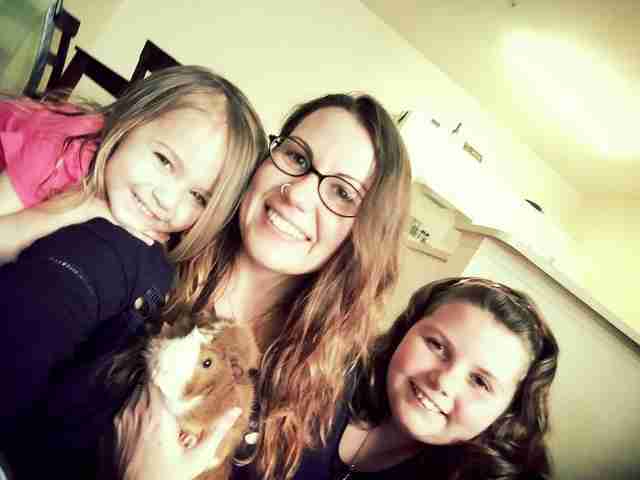 They were very nice to him and myself," the guinea pig's owner, Kristi Waller, told The Dodo. "I have the utmost respect for firefighters in the first place, but to see them care so much for something so small because of what he meant to our family was truly moving." While Rodney's story has a happy ending, not all pets are so lucky in such situations. 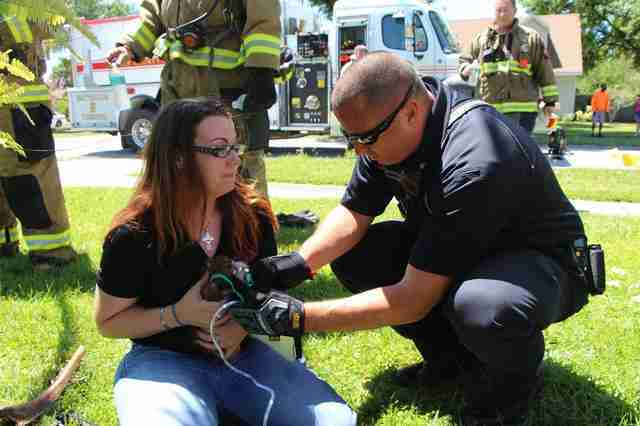 According to Project Breathe, a campaign aimed at making pet-sized oxygen masks available for fire departments across the country, an estimated 40,000 to 150,000 animal companions die in fires each year, mostly due to smoke inhalation. If you'd like to help Rodney and his family recover from the fire, consider making a donation to their GoFundMe page.